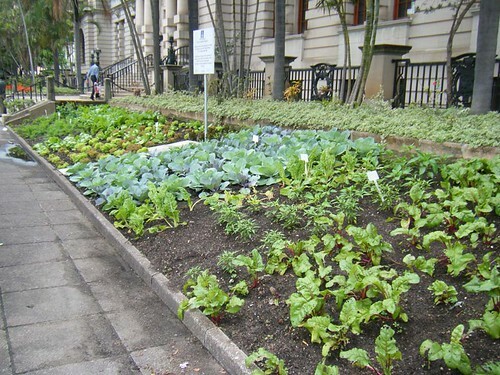 It has been over a month since the first seeds were planted in the eThekwini Municipality city hall food garden (more on the project here). The attached pictures show how the plants are progressing. 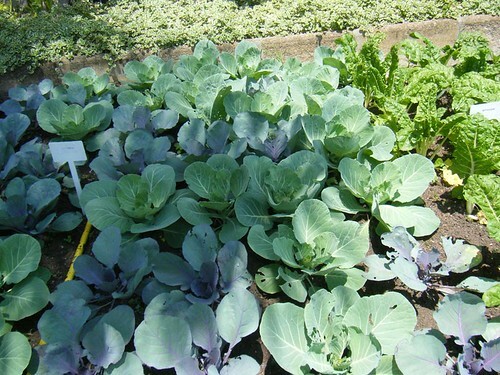 The growth of the plants has been excellent, which is expected in this rainy season. 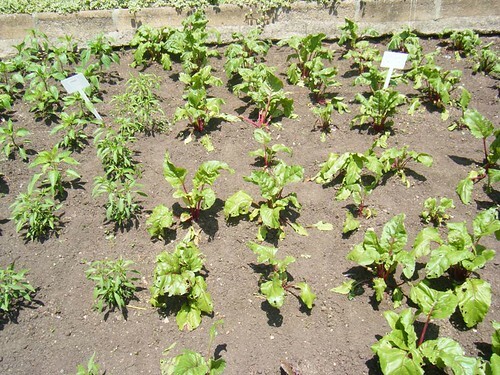 A few plants have been taken during the night and the cabbages are being attacked by a pest. The team working on the garden are trying to identify an appropriate organic solution for the cabbages. The management team is also going to meet in the near future to decide on when to harvest the plants. As some of the plants are being taken, an option is to harvest earlier than planned to ensure that TAFTA (the project beneficiary) receive a substantial harvest. ← How does her garden grow? ja, i saw this the other day when i was down there.. great idea and impressive progress! gazanias might be an option for pest control? I thought maybe marigolds or wild garlic would keep the pests away. No suprises that there’ve been some plants liberated for the revolution – a bunch of spinach costs R7, a cabbage more, so go figure. But as you say, Smile, least it’s hungry peeps doing the nicking. 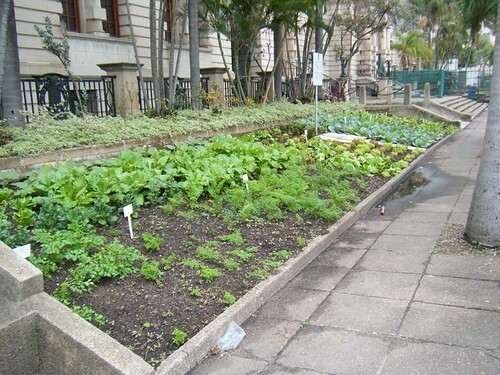 But it makes me wonder – who in their right mind thought that so much free veg – in the centre of the city, where hundreds of thousands of people, many of them living below the breadline, walk by every day – would actually make it to the TAFTA down the road intact?